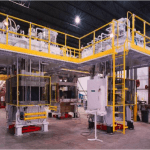 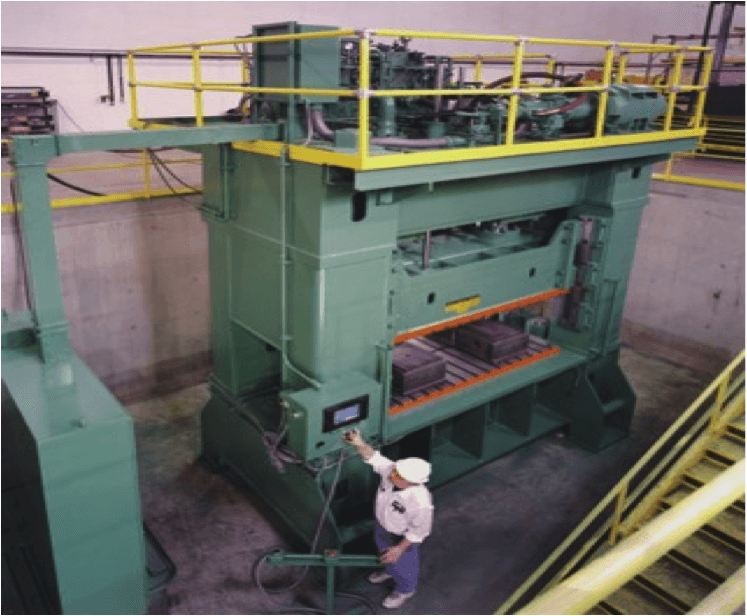 This 750 ton press is used to form 0.750″ plate used in the construction of tank and hopper rail car wheel structures Because of the extensive forming was a requirement for the press, we designed the press to be both robust and versatile. 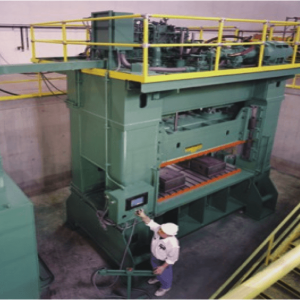 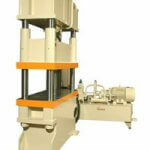 In addition to being capable of performing forming operations on plate sizes of 7′ × 4′ weighing approximately 650 pounds the press has the added capability to perform heavy blanking operations. 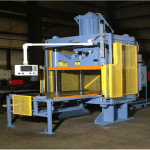 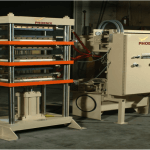 To accommodate the high forces and breakthrough conditions encountered when blanking the press has a shock dampening system.